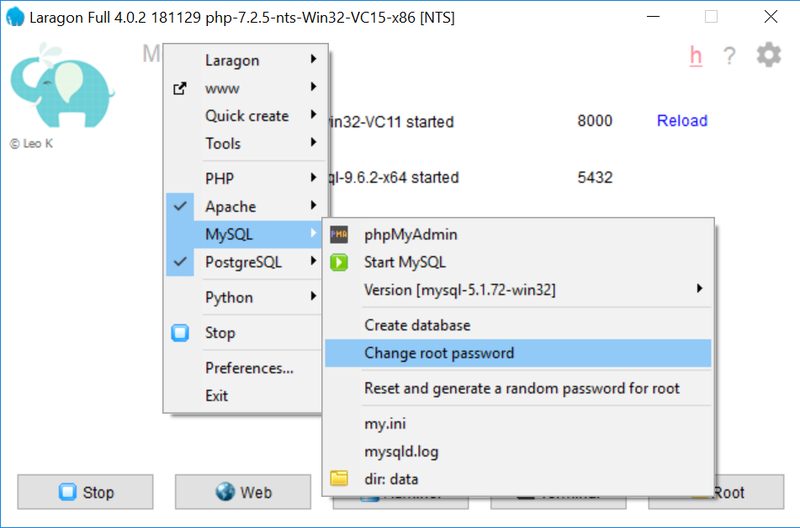 RE: How to add Tom Cat to run JSP file in laragon ? 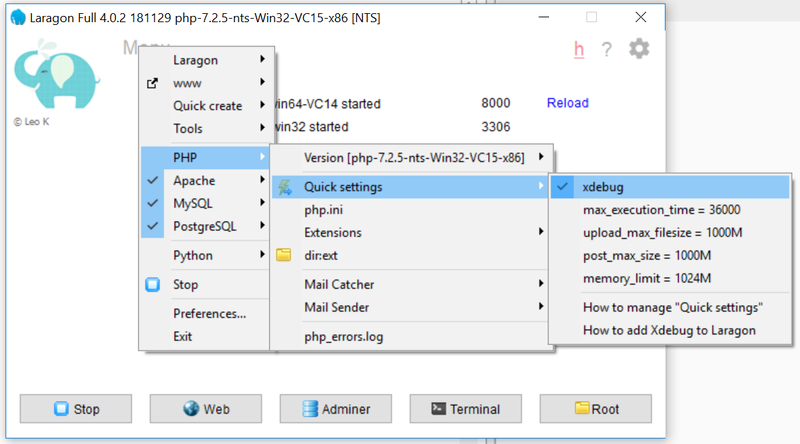 @ahsanDev You can download Tomcat for Windows from https://tomcat.apache.org and run separately from laragon. 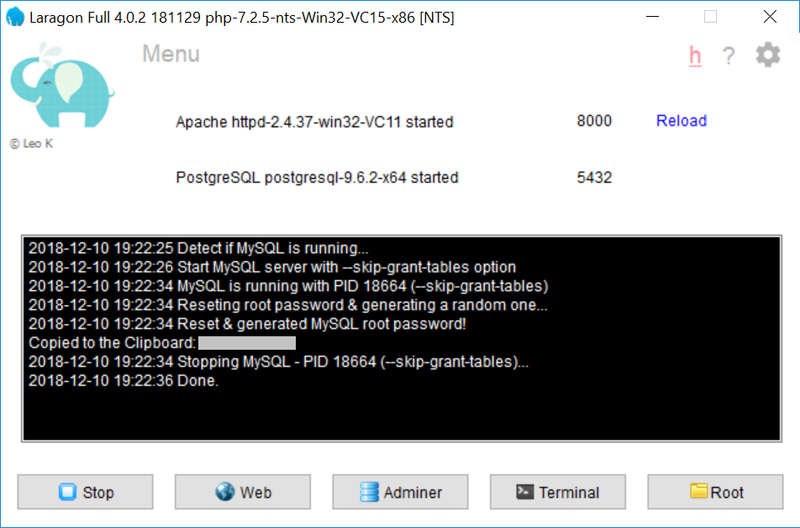 Apache Http server can run on port 8000 and Apache Tomcat can run on port 8080. @leokhoa Maybe not much users know about this feature but I think it is useful. 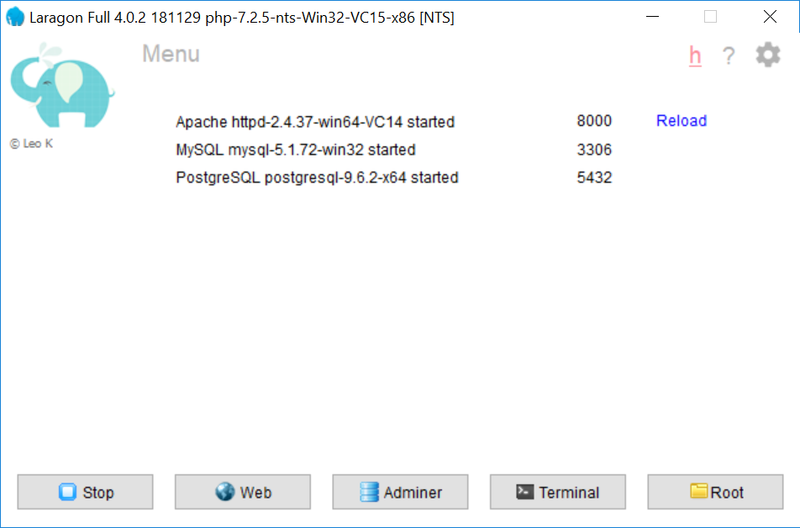 I prefer to use Adminer compare to PHPMyAdmin. Thanks for considering to add it back. 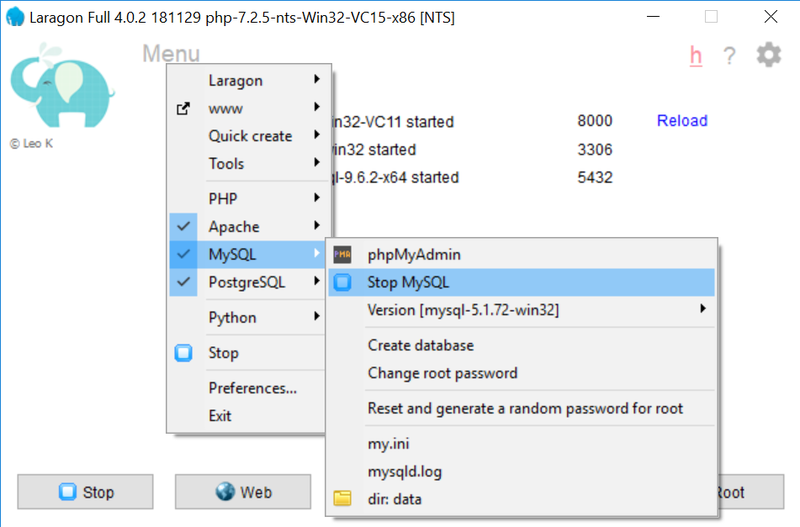 In Laragon 3, I can change the default application for database to my preferred application (in my case is adminer) but in Laragon 4.0.13, it is missing this feature. Please help. Thanks leokhoa. 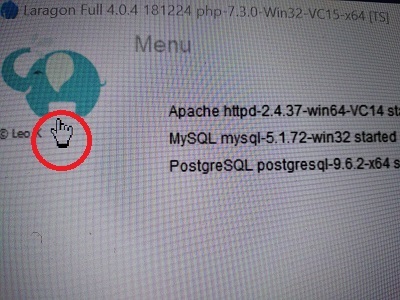 I have just updated to Laragon 4.0.13 from github. I don't like the low resolution mouse pointer in new version. 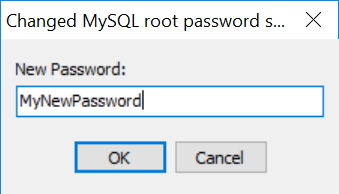 @mukama Make sure MySQL service is started. I try to upload file more than 100MB using php but it failed at 90% and the browser shows Internal Server Error. If I try with smaller file, it has no issue. I have set more memory and max values but it is still not helping.